Cast your vote to select the Top 10 below! 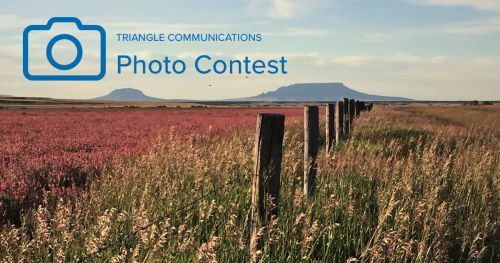 This contest is open to members and member dependents of all ages who subscribe to Triangle landline service. Must depict the scenic or abstract beauty of the Triangle service area. Trademarks, commercial names and advertisements must not appear in the photo. Photos containing people are not eligible. Must be a minimum of 300 dpi, high resolution and a minimum of 1500 pixels on the longest side. Entries must be submitted via the electronic entry form below by July 6th. Limit two entries per person. Triangle reserves the right to disqualify incomplete entries or entries that do not meet the criteria. By submitting an entry, you agree to give Triangle complete, royalty-free publication rights to the photo. One Grand Prize and five Runner-up Prizes will be awarded. All valid entries will be posted on Triangle’s Facebook page by July 13th for First Round Voting. 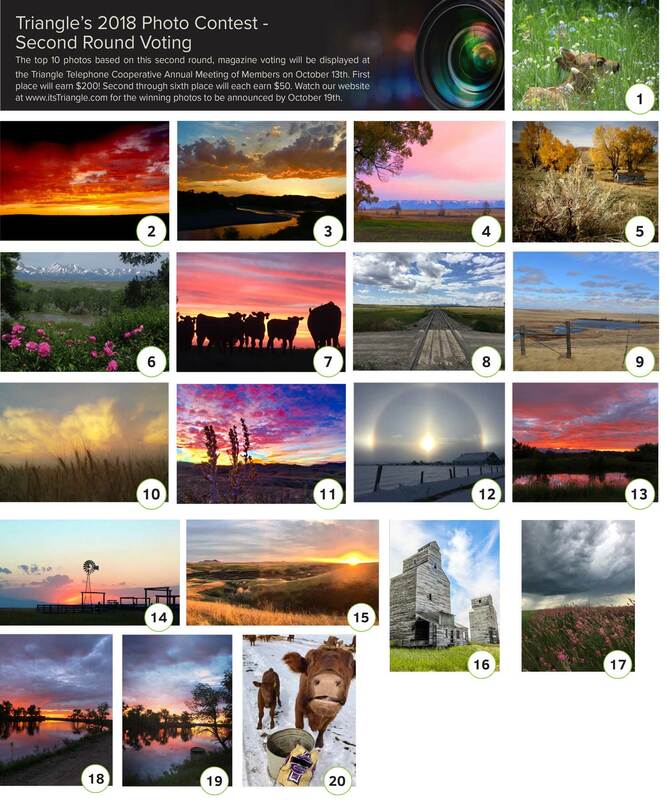 The top 20 photos by August 1st will proceed to Second Round Voting in the September/October 2018 “Keeping You Connected” magazine. The top 10 from the magazine voting by September 28th will go to Final Round Voting at the 2018 Triangle Annual Meeting on October 13, 2018. Award winning photos will be featured on the 2019 covers of the “Keeping You Connected” magazine. Triangle employees, board members, immediate family and others living in their household are not eligible. Vote for the Photo You Want to See In the Final Round of Voting! The top 10 photos based on this round, will be displayed at the Triangle Telephone Cooperative Annual Meeting of Members on October 13th. One Grand Prize will be awarded $200 and featured on the cover of the January/February edition of Keeping You Connected. Five Runner-up Prizes will be awarded $50 each and featured on the cover of March - December editions of Keeping You Connected. Thank You for your vote. Please come back by October 21st to see the winners.